a cartilaginous bar in the embryo. From it or its sheath, the sphenomandibular ligament, the malleus, and the incus develop. Also called Meckel's rod. A cartilaginous bar about which the mandible develops. one of a pair of cartilages forming the lower jaw of cartilaginous fishes such as sharks and skates. In fish, reptiles and birds it forms the ossified articular bone and in mammals, the MALLEUS. The remainder of the palatoquadrate and Meckel's cartilage divided into smaller bones. Meckel's cartilage grows back to meet a primary jaw joint and becomes enveloped by intramembranous bone. RAI 2 Partial deletions and distortions of midbrain/ hindbrain border region (MB/HB); eyes slightly closer together; axis slightly truncated; heart smaller with pericardial edema, otocysts slightly closer to MB/HB; tail slightly curled; deletions of the quadrate, pterygoid, and hyosymplectic cartilage; malformations of Meckel's cartilage, ceratohyals and the basihyal. 7] M RA show deletions of one pair of ceratobrachials, whereas the ceratohyals in the hyoid arch and, in many cases, Meckel's cartilage in the mandibular arch remain. In the mandibular arch, for example, the quadrate and Meckel's cartilage both arise from a single precartilage condensation, with the quadrate forming before Meckel's cartilage (Schilling and Kimmel, 1997). 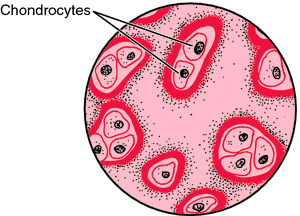 The Meckel's cartilage of VPA treated fetuses was rudimentary, with small chondrocytes with smaller nuclei. 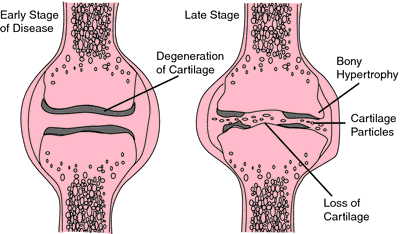 VPA probably has a direct effect on the organization of the cartilaginous tissue of Meckel's cartilage, resulting in delayed differentiation, as observed in this work, with a reduction in the collagenous concentration and a decrease in the synthesis of proteoglycans (Aulthouse & Daron, 1994).